It is now June 2017 and even as we move closer to G.O’s discharge from the Army, I am still nostalgic for many things in the past. With June’s arrival, I cannot help but think back on MBLAQ’s comeback as a trio in 2015. As exciting as it was, there was still a sense of the unknown as to what the new music would sound like (it was and still remains great) as well as what the trio dynamic would be like (that too, was and still remains great). Since the future is uncertain, we really only have the now, and we definitely have the then. For my G.O One Shot today, I travel back to the days leading up to the release of Mirror and relive the sensational excitement of the teaser photo released in anticipation of the comeback. His knees peeking through the ripped denim, his exquisite forearms and hands, the deep blue double-breasted jacket, his goatee, and the way his glossy hair falls into his eyes all captivate. The cool tones of the photograph are easily tempered by the softness of G.O’s gently closed eyes. Pure romance . . . sigh. 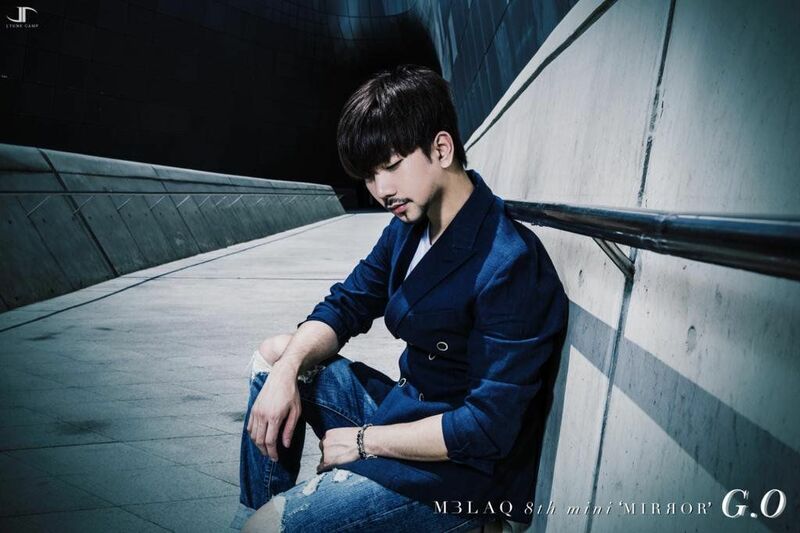 Categories: From The Korean Musical Stage, G.O Military Discharge, MBLAQ Musings, The G.O Files | Tags: G.O, G.O One Shot, G.O's Military Service, Jung Byung Hee, Jung Byung Hee images, M3LAQ, MBLAQ G.O, MBLAQ G.O One Shot, MBLAQ G.O Teaser Photos, MBLAQ Mirror, MBLAQ Mirror Comeback, MBLAQ Mirror Teaser Photo, Seoul Arts Center | Permalink.